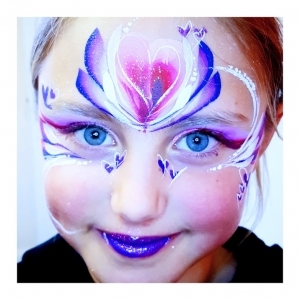 Face painting for children (and adults) at birthday and religious-ceremony parties. Depending on the designs, I can paint around 10-12 children in an hour. 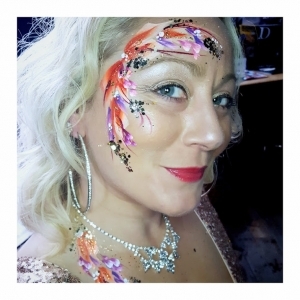 For a glittery, shimmery, colourful, but tasteful night out with a little swirl or lots of glitter around the eyes, a flowery design or an animal print down the arms. Contact me to discuss your ideas and the desired overall look for your event. Body art where the girls want to look gorgeous and glittery, and the men want to look cool. Both are very achievable (and interchangeable depending on your preference)! 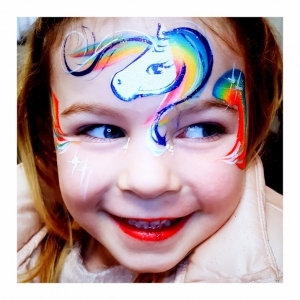 Face painting facilities for corporate family day events with designs and fun for both adults and children. Clients have included Ascot Family Days. Brighton and Hove Albion. Lloyds TSB and Glaxo Smith-Klein, among others. I can cater for any corporate branded colours – just let me know. 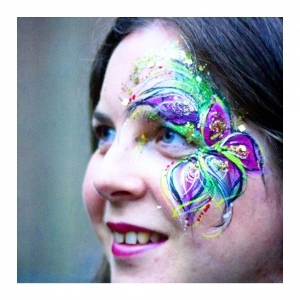 Face painting at weekend-long festivals or one-day carnivals, school fetes, or community fairs. 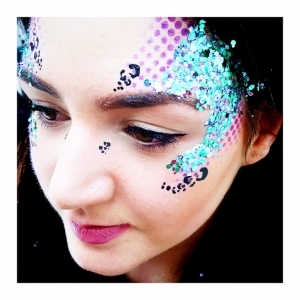 When the sun is shining and the queues are long, the face painting is still fast and fabulous. Some of the bigger events have included Camp Bestival, Kemp Town Carnival, Brighton Pride and The Level Festival. 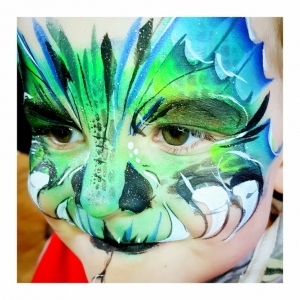 I hand select a few events to which I offer face painting as a service towards the charitable cause. These include, Martlets, Rocking Horse, St Wilfrid’s Hospice and The Chestnut Tree House.